HOTSKULL ENTERTAINMENT is a movement started in Mount Vernon, New York by four young men: DJ Myte, Brimzy, Cranberry, and Nando. Since its inception in 2012, the company has expanded to a full entertainment company, supplying DJs, event hosts, photographers, videographers and sound technicians. Hotskull’s mission is to rock out any event. Hotskull Entertainment is an advocate for chasing one’s dreams and working towards something greater. In keeping with this philosophy, Hotskull teaches DJ classes to children and works hand and hand with the Mayor of Mount Vernon, Richard Thomas, at community events in the city. Every summer for the past three years, Hotskull hosts their annual “Hotskull Day”, a give back to the community with entertainment, free food, t-shirt giveaways and a bouncy house for the Mount Vernon community. 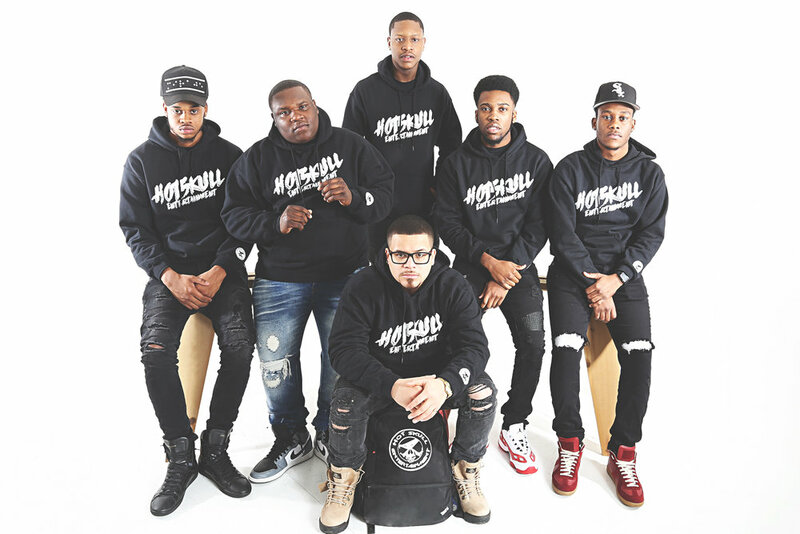 Expanding its reach beyond Mount Vernon, Hotskull members are turning up the college scene in schools like SUNY Oswego, Buffalo State, Westchester Community College and Stonybrook University. Hotskull operates and hosts “The Hotskull Show on 88.9Fm in the city of Oswego and streams live on Epic Radio at Inthemixx online radio station in Yonkers, New York. Hotskull Entertainment will someday be known as the pioneers of the new Hip Hop generation.